It is no secret that fans are leaving WWE or flocking to WWE Network to watch one special event a month, or like me to watch 1990’s quality programming. With a generally unpopular champion in ratings killer Roman Reigns, no respect for veterans like Dolph Ziggler, and lame gimmicks like Tyler Breeze it is no surprise. If I ran a wrestling promotion it would be a snap to crush WWE’s ratings with a decent financial backer. 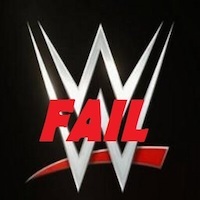 Here are the five ways I would embarrass WWE within one year. Three hours of RAW. Oh dear God, three hours of bad programming! Within the three hours of RAW there is an inexcusable amount of advertising during matches. When a match gets going we hear Michael Cole spout the dreaded, “as RAW rolls on” and we are taken out of it emotionally so when we come back from commercials we aren’t as excited. Plus, it means lots of talking, lots and lots of talking. Stephanie McMahon can kill a crowd in a very short amount of time, whereas Shane can ignite them, but guess who we get more often droning on and on. If I ran a promotion and could land it on at least SpikeTV it would be over for them. Two hours up against RAW with no commercial interruptions during hot matches. It’s simple, really. Let the matches run and then go to commercial. Imagine a world where you can enjoy pro wrestling and not be interrupted all the time. Fans are left wanting less and not more. It’s impossible with two kids to dedicate three hours to a subpar product. Me – 1 WWE -0. WWE is now infamous for telling us who we are supposed to like. Roman Reigns is booed everywhere he goes unless it is a house show where he might get cheered simply because people want to see characters from TV. The commentators relentlessly tell us that boos are “ovations”, according to JBL, and that Roman is the most popular superstar ever. They also lie in their countdowns. 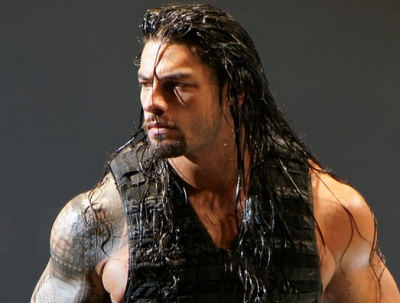 They tell us that Roman’s “The guy” line is the top catchphrase of the last ten years. It’s maddening as a fan and an insult. They need to surf the net and read the most popular mainstream sites to see who we are behind and want to cheer. It’s a hard pill to swallow for WWE, but if they want me not to crush them in ratings they better stop feeding us bullsh**. Plain and simple. JBL, Michael Cole, and Byron Saxton are the worst trio of commentators in WWE history and there have been a few stinkers before them. JBL in particular is the one fans want gone. While he may get a cheer coming down the ramp it is a “hey it’s JBL” mixed with “we know that guy and his music”. It is not for his voice or inconsistent good guy/bad guy commentary. He buried Sting and his legacy during Wrestlemania 31 and he is now reviled for his constant barrage of Roman Reigns being the greatest thing ever. Sure, Vince is feeding them hot garbage to spew, but JBL’s annoying voice and over the top cheesy delivery makes it unpalatable. Mauro Ranallo and Corey Graves need to take over for all of them to make us want to watch with the sound on. Get a guy close to Jim Ross levels and I win. Fire those clowns or lose. Kevin Dunn can make TV look pretty good, but his editing of what the fans want to say is unforgivable and proof that WWE does not care about their “Universe”. They muted Reigns’s boos at Mania and the RAW after. They say we boo people because it’s cool or that we boo them because we like to do the opposite to mess with WWE. That’s not the case guys, sorry. We are tired of Cena, Reigns, and HHH. We cheered HHH at this year’s Wrestlemania because we despise how we are being force fed Reigns. All it takes, ALL it would take is to accept who we want to boo and amplify it to 11. Embrace the boos, build on it, and give us what we all want. A true bad guy or solid good guy. They do good guy and bad guy things, but nope. WWE continues to worry about marketing and not the long term goals. As long as they keep muting us and telling us who we are cheering for they will continue to piss people off and lose viewers. I would never stifle the crowd’s opinions and that would kill the WWE. No matter who we cheer for we get who they think we want. Bray Wyatt is the most popular superstar with legends and fans to continue to be misused. Word is that Vince doesn’t want a “fat guy” getting over with fans and to be covered in the media. We are desperate for talent, and charisma. We want Dolph Ziggler, who despite an insurmountable task of making that name digestible, has done it. Instead, we get Sheamus, Orton, and HHH. They book guys like Rollins to make him look weak so as not to ruin their guy who they want to shove down our throats. John Cena is hated because he has no character to speak of, is a walking marketing machine, and they refuse to let him lose to anyone we the fans want. They BURY talent on a regular basis because they think that not giving us what we want is good “heat” meaning getting us emotionally involved. It’s insane. If they want us involved use Cesaro, Zain, Owens, and Ambrose in a way that doesn’t involve sticking all of our favorites in one big feud. All it would take is a company to reward those who deserve it and it’s over for WWE. CREATIVE NEEDS TO CONSIST OF WRESTLING FANS AND NOT BAD SCRIPT WRITERS. These are just five things and there are dozens more that I could go in to. If a company follows this blueprint it’s bye bye WWE or the juggernaut of stink would have to evolve in to a respectable product delivering company.